Skin loving fresh Goat Milk, skin pampering oils and uplifting essential oils are teamed up in this bar to gently cleanse your skin. The Lemon/Lime essential oil combination is uplifting and energizing. Natural color has been added using sea kelp powder and french green clay makes this bar one with dual purpose - try shaving with it! 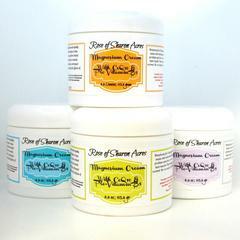 NOTE: None of our products are tested on animals...we just love them here at the farm. 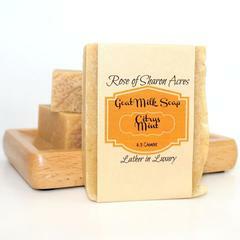 Your goat milk soaps contain fresh goat milk which is harvested by hand every morning - 7 days a week. 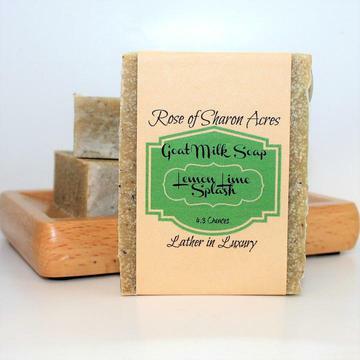 It contains all the butterfat that is produced naturally - this gives goat milk soaps that extra goodness that only FRESH goat milk can provide.